This is a round Gold Medal Oils porcelain sign. 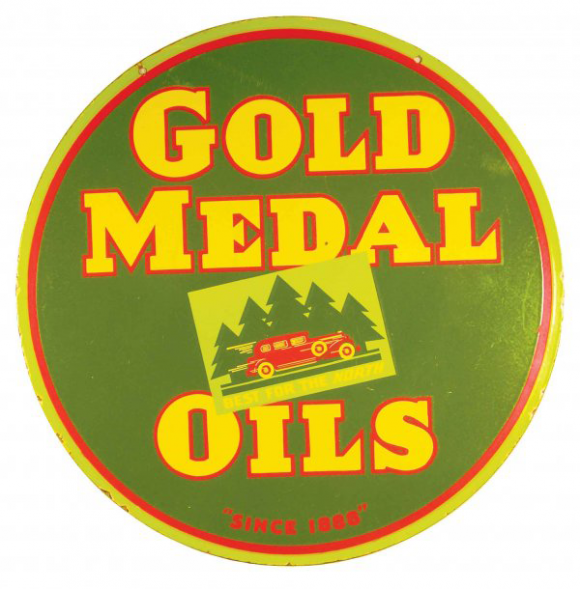 This particular Gold Medal Oils sign is green with yellow text. It reads, “Gold Medal Oils, Since 1888” and features a red car in front some green trees in the center.